The song shoot of Power Star Pawan Kalyan’s ‘Cameraman Ganga tho Rambabu’ is currently on in Padmalaya Studios and Pawan is taking part in the shoot. Two songs remain to be shot in the film and talkie part is already complete. Shooting is expected to be wrapped up in the next few days. Tamanna is the heroine in this movie and Mani Sharma is the music director. The film is being directed by Puri Jagan and Danayya is the producer. The audio launch of the film is said to be tentatively on the 24th of this month and the film is going to release on October 11th. Pawan and Puri are working together after a very long time and they are raring to repeat the success of ‘Badri’. 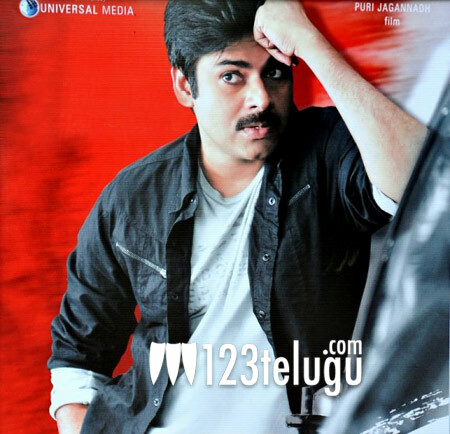 Pawan will be seen as a Television reporter in this movie.